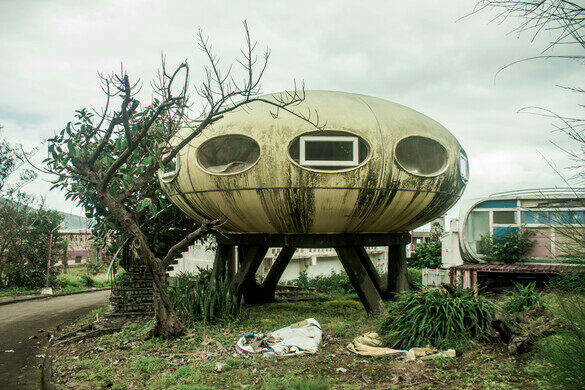 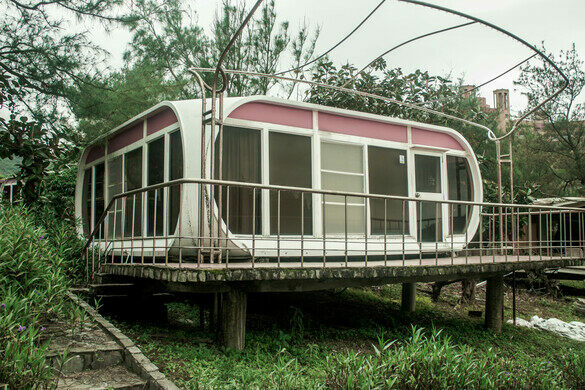 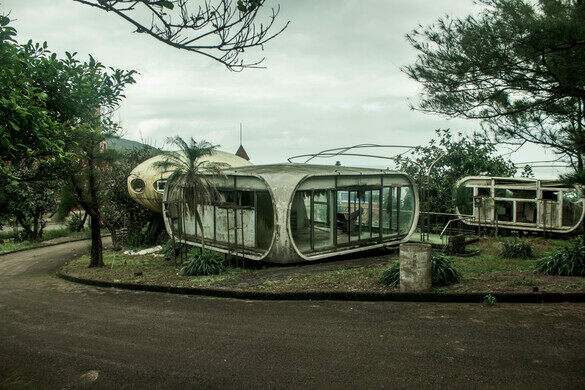 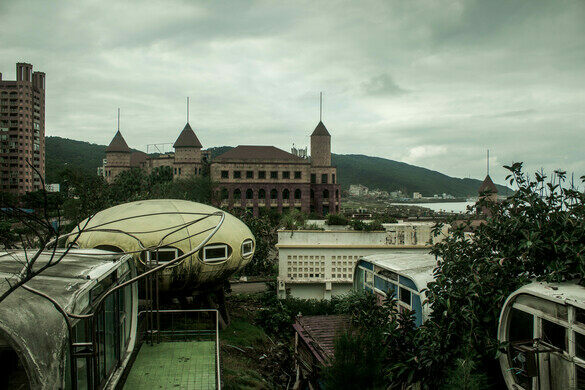 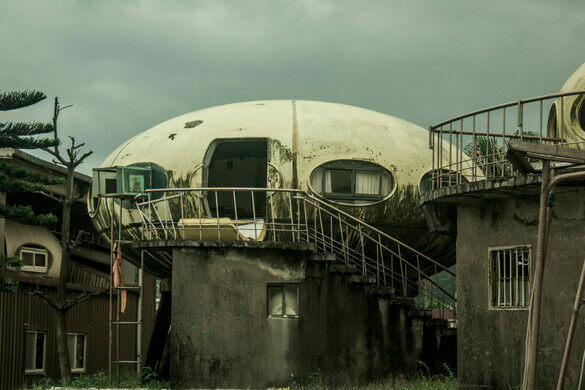 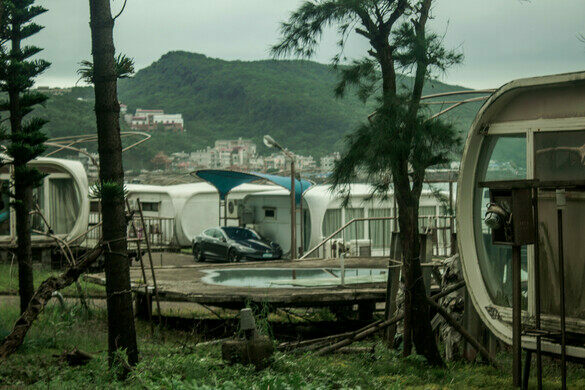 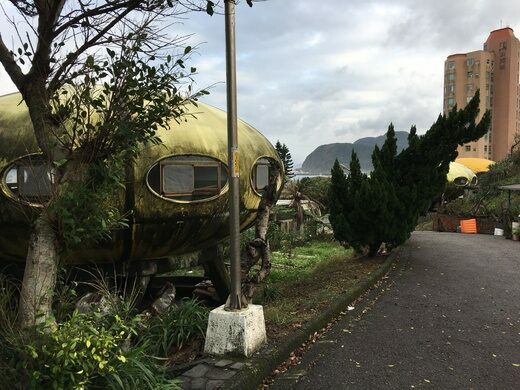 Mystery surrounds this semi-abandoned holiday resort, home to the last pod of Futuro—a.k.a “UFO”—houses in Taiwan, as well as what may be the largest pod of Venturo houses in the world. 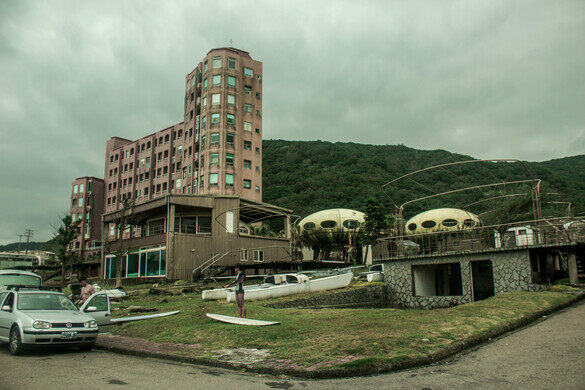 The eerie streets of this abandoned beachside paradise still echo with the cries of surfers fighting against the strong coastal waves from the village’s bygone days as a hub of midcentury futurism. 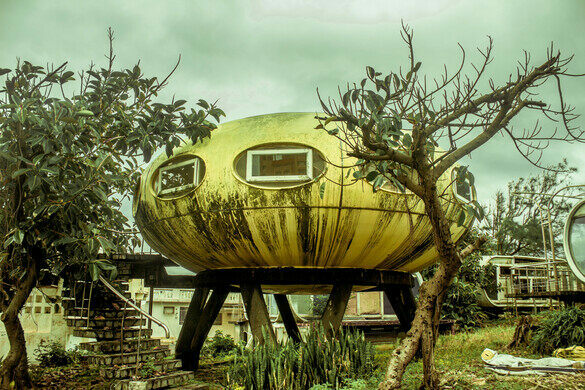 The Futuro houses, designed by Finnish architect Matti Suuronen, resemble whimsical flying saucers. 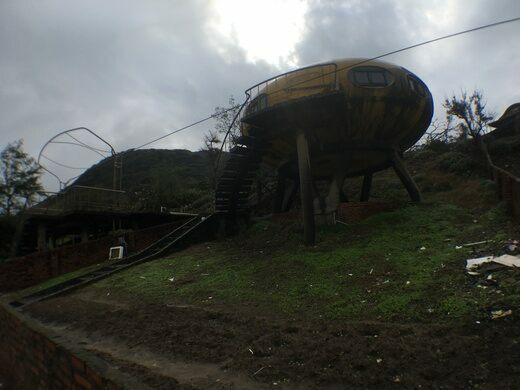 The pre-fabricated plastic oddities were originally designed as ski chalets light enough to be airlifted onto any terrain, although the ones at Wanli swapped the adjustable UFO-style legs for tacky ’70s-era pebble-concrete staircases. 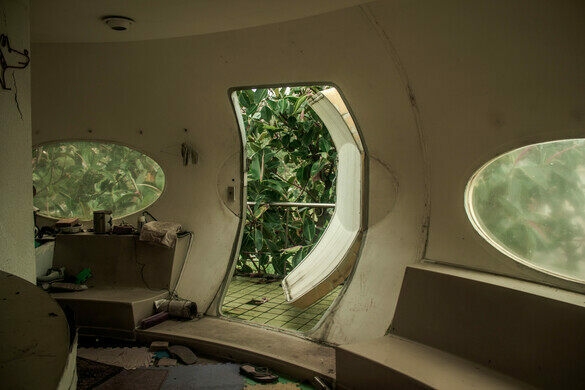 This particular pod, comprising about six Futuros, is scattered throughout a large complex of Venturo Houses, another retrofuturistic pre-fab house model by the same architect. 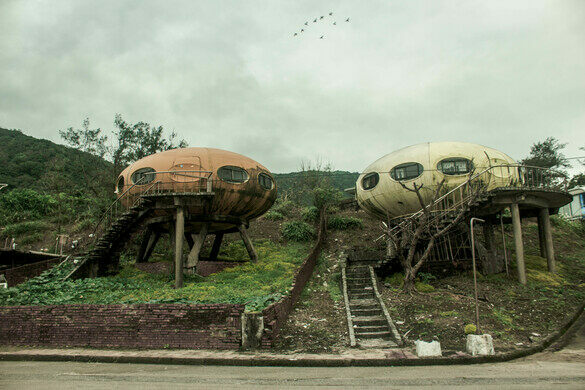 Unlike the Futuro, the Venturo never really took off in its own era, and hasn’t experienced the same resurgence of popular interest. 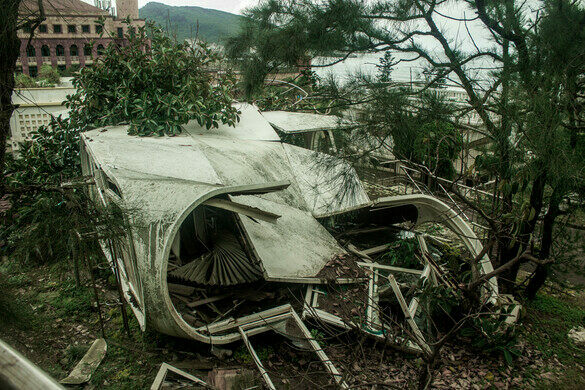 Reportedly less than 10 “true” Venturos exist in the world—but there are more than 10 in this park alone! 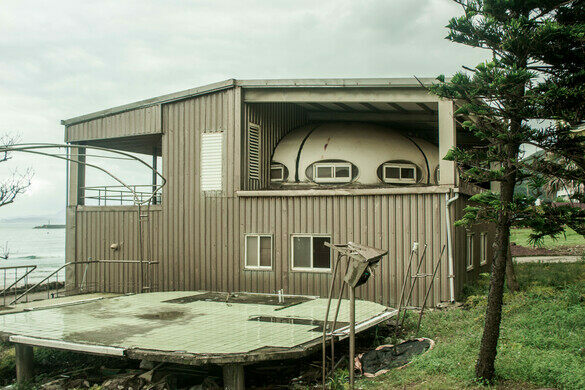 That’s where the mystery comes in: These dwellings do not appear to have been sanctioned by Suuronen himself, and there doesn’t seem to be any publicly accessible information as to where they came from, or even exactly when they were built.